Do You Have Friends Or Not? We had suspected for months but today it is 100% concrete; we will be able to play each other on the sequel to the Gamecube's most praised fighting game. The Smash Bros. Dojo did not only confirm the presence of an online mode in Super Bros. 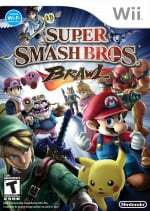 Smash Brawl, but additionally went in to further detail explaining how the process will work. 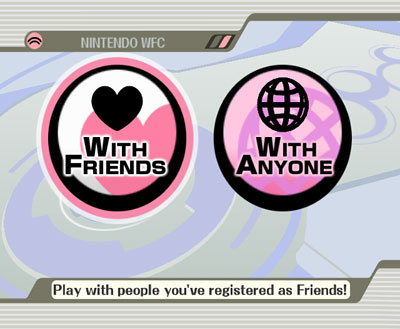 The two modes shared so far are pretty self explanatory: 'With Friends' allows you to play with people on your friends list, and 'With Anyone' allows you to play with anyone anywhere in the world. In the Friends mode each player's name will be shown above the player so you know who you are brawling with; hopefully these will not get in the way too much. Another thing that is shown on screen are individual, predetermined messages that you can send to your opponents. These are sent by pressing one of four directions on the D-pad. Both of these visual aids are not present in the With Anyone game. Entering a game you will not know the names or battle history of your opponent, apparently to keep it simple and stop players getting intimidated. A downside to the lack of saved battle records could mean that a novice player will constantly be matched with expert players. All of the details have not yet been released so lets hope they implement something to keep it fair. Sakurai also mentioned the issue of latency in the game. Hindering lag is more likely to occur if you play someone in a distant country. However this is evident with almost every online game available, no matter what console or PC the game is run on. No real need to worry there. There are more details to come on how Super Smash Bros. Brawl will make use on the Wii's wi-fi connection but these are to be revealed at a later date. The game is still set to be released on the 3rd December in the US with still no word of a European or Japanese release date. Inevitable but none the less exciting.